Harrington has all the right ingredients for entertaining. The impressive gathering room, with a 14-foot ceiling, connects to a gourmet kitchen with signature island. The butler’s pantry makes it easy to serve guests in the formal dining room. 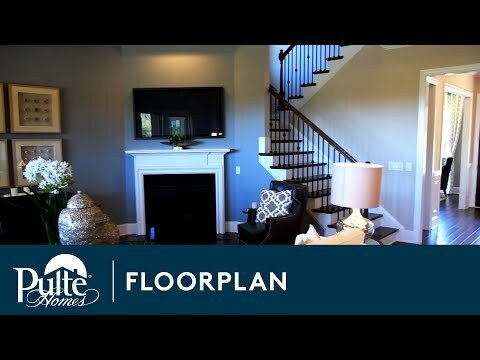 Busy families love the Everyday EntryTM and Pulte Planning Center®, to keep life organized. The downstairs Owner’s Suite is tucked away for privacy. Step inside Harrington to see the Life-Tested Home Designs® with more usable space where you want it most. So you live the way you want to live. Sun-filled gathering places welcome you to Harrington, where the main floor Owner’s Suite occupies nearly an entire wing. A butler’s and cook’s pantry accent the gourmet kitchen, opening to the gathering room with optional coffered ceiling reaching 14 feet high. Add a media room alongside three upstairs bedrooms for additional entertaining space.